The Physics of Microdroplets gives the reader the theoretical and numerical tools to understand, explain, calculate, and predict the often nonintuitive observed behavior of droplets in microsystems. Microdrops and interfaces are now a common feature in most fluidic microsystems, from biology, to biotechnology, materials science, 3D-microelectronics, optofluidics, and mechatronics. On the other hand, the behavior of droplets and interfaces in today's microsystems is complicated and involves complex 3D geometrical considerations. From a numerical standpoint, the treatment of interfaces separating different immiscible phases is difficult. Jean Berthier is a Scientist at the CEA/LETI and teaches at the University of Grenoble, France. He is presently involved in the development of microdevices for liquid-liquid extraction (LLE), flow focusing devices (FFD) for bio-encapsulation of live cells, microfluidic resonators for high sensitivity biodetection and numerical methods for the prediction of droplets and interfaces behavior in microsystems. He is the first author of the book Microfluidics for Biotechnology published in 2005 with a second edition in 2010. 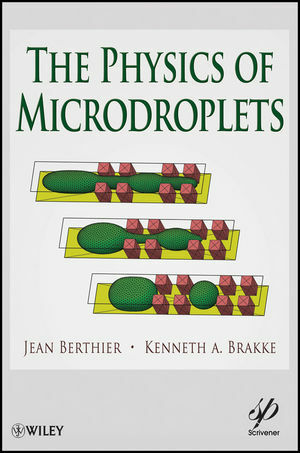 He is also the author of the book Microdrops and Digital Microfluidics, published in 2008. Kenneth A. Brakke is Professor of Mathematics and Computer Science at Susquehanna University in Pennsylvania. He received his PhD in mathematics from Princeton University in the field of geometric measure theory. Since 1988, he has written and maintained his freely available Surface Evolver software, which shows computer models of liquid surfaces.